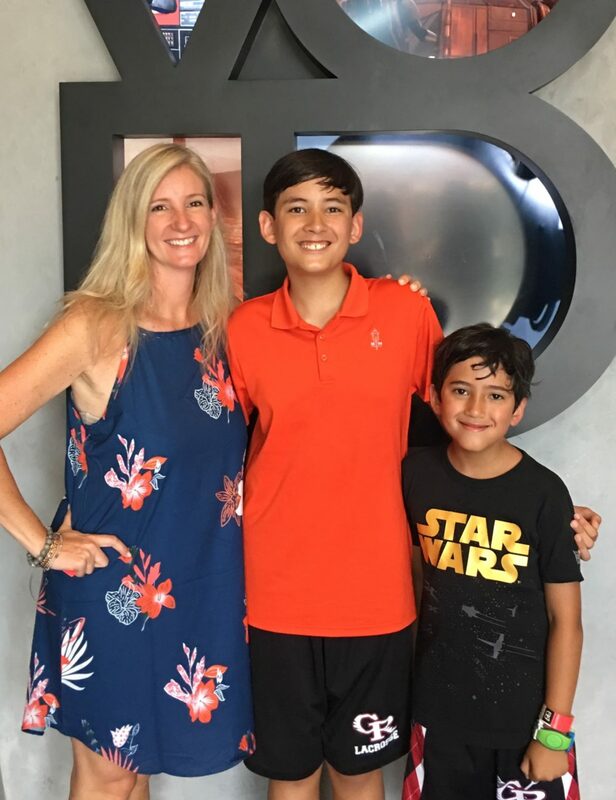 Hi, I’m Zachary Anwar I am 13 years old, and the son of the CEO of Magic Family Getaways. I going to explain my experience of VOID : Secrets of the Empire hyper reality experience during my latest vacation to Walt Disney World. Caution if you not want spoilers skip the third paragraph. First of all, I would like to mention all the things you have to do before the experience, when you are there it is recommended that you are at least ten years of age and over 48in tall, remember this is only a recommendation so if you are a little younger you can still go on the experience but you need someone to go with you who is over 15. Once you have that you have to buy your ticket and a word of advice it is cheaper to go on a weekday (Mon – Thurs) than to go on a weekend day (Fri – Sun) or holiday. After buying your ticket you need to sign a waiver, but don’t worry the waiver it isn’t like a haunted house waiver, it is nothing to worry about. If you are a minor you need someone who isn’t a minor to sign your waver and if you are not a minor than you can sign it yourself. Then you put on a wrist band then wait in a line, depending on the amount of people it can be a 15-30 min wait time. While waiting in line some of the Void crew will come out to talk to you asking things like have you done it before, have you seen the new Star Wars movie and things like that. After that you go into a dark room and you scan your wristband. Then you can customize you stormtrooper by changing the color of your shoulder pad and wrist guards. But after that you get your mission briefing. Here is the basis of it ,you are a rebel spy looking for a mysterious crate that the empire has and your commander thinks that it is a powerful weapon and you need to get data of it and report back to the rebels. Now I will talk about the suits, they are pretty cool they are powered by oculus, one of the makers of VR headsets. Normally you would think that you only have a headset with controllers but no, instead you have a backpack like a suit that is not to heavy. It is about 15-20 pounds, that may seem like a lot but it gets lighter and it feels only like 6-10 pounds (coming from my perspective) then there is no controller, just the suit. But later in the experience you get a blaster and you get to blast some stormtroopers. Also in the experience co can do finger motions like pointing and finger guns, yet there are no gloves just sensors. Next is the experience, during the experience I went with my mom and my little brother. And we got our briefing and waited in another line to get our suits on. After that we were put in a room and told to put our goggles on. Then the room lights up and we can see each other as stormtroopers! A door opened and we walked into another room, there was K-2 and another undercover stormtrooper. We entered the imperial base and are put on a platform that felt like it was actually moving, also my mom was so immersed that it gave her a fear of heights so getting on the platform was a struggle for her. So I had to help her by holding her hand and guiding her onto the platform. Later (spoiler alert) the empire finds out you are rebels and you need to fight back by grabbing blasters and blasting stormtroopers of a balcony, then you are attacked by a bug like creature that you need to destroy before it approached us. Then you are locked in a room where you need to solve a puzzle all you need to do is repeat a pattern but you are also being shot by stormtroopers. During this time my mom and brother were trying to defend us from the stormtroopers while I was figuring out the code but they were not doing a good enough job and I couldn’t figure out the code. They just let us pass. After this you find the vault where the mysterious crate is. And you find an old artifact then… you encounter Darth Vader who comes closer to you after he kills your friend. But K-2 comes to the rescue by crashing a ship into him so you can board back onto the ship and leave with the plans to the artifact! All in all it was an outstanding and memorable experience. I would love to experience it again with my older brother. I would totally recommend this as “must do” activity during any Walt Disney World vacation. So you should definitely go check out on your vacation! It is located next to the Bibbity Bobbity Boutique. Enjoy yourself and have a magical day! By, Zachary Anwar, from Magic Family Getaways.